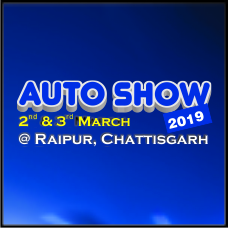 This is in reference to our exhibition, "AUTO SHOW EXPO 2019" is being held at As you will appreciate this is our RAIPUR.15th Edition of this Exhibition, at Wood Castle Banquets, G.E.Road, Near Magneto Mall of Raipur, Chhattisgarh on 2nd & 3rd March, 2019. Looking ahead to a win - win situation for all of us viz. Participant -- Visitors -- Organisers. We have been successfully Organising exhibitions over 2 decades. we have organised exhibitions within 8-10 trade Show & Exhibitions different industries National as well as internationally every year since 1996.